Our peppermint comes from the northwestern United States. The pure, moist mountain air of the spring and early summer growing season gives this peppermint some of the highest volatile oil counts of any member of the mint family. Generally the second cut (takes place during mid August) is the most flavorful, coolest, and most pungent. Peppermint is an herb and contains no caffeine. It has been reported and written that peppermint sweetens the breath and calms the digestive system, plus it helps heartburn, stomach ache and nausea. An interesting and tingling way to use peppermint is to place a handful of peppermint leaves in your bath water which will lower your body temperature. It is perfect for cooling fevered skin or after working on a hot summer's day. Peppermint is believed to be a hybrid species that evolved from spearmint and watermint. However, peppermint has been around so long it genealogy is obscured. It has been reported as a stewing herb by ancient Hebrews and it has been found in 3000 year old Egyptian tombs. 2000 years ago the Japanese cultivated peppermint as a source of menthol. Peppermint is a primary ingredient in remedies used in the relief of gastrointestinal disorders, headaches, and local aches and pains. As a hot tea it is cool and refreshing, as an iced tea the menthol content produces a pleasantly chilling taste sensation. 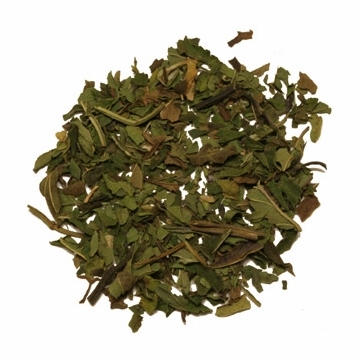 Large natural peppermint tea leaves make an excellent clean and satisfying cup of tea. Nice with honey or sugar, but really good straight too. Will definitely repurchase! A very good tea on it's own or mixed with a black tea to make ice tea. Great full taste, really refreshing and decent price. Satisfied as this tea shines where other peppermint teas fall flat. Taste so good and make me feel relaxed before bedtime. This peppermint is delicious and the minty aroma is excellent. Best summertime anytime refresher in teas! Your peppermint is so good even my husband who never was a tea drinker is now an advocate of your teas. He also love rooibos masala chai to the max also. I love these teas without saying. 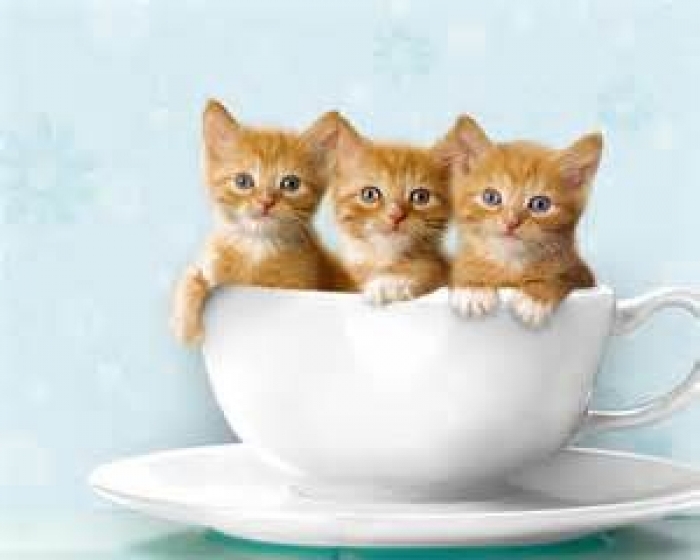 Every three o-clock is tea time now. I love it, such a good deal and a lot of tea! Even my cat loves it (I have the claw marks on the bag to prove it) Thanks for an amazing product! Super top quality .. And good customer service..
Great tasting tea leaves, very aromatic...i love this and will be back to purchase more. This tea is wonderful all by itself or it can be used to add a pleasant twist to many other teas as an element of your own personal brew. Aroma is pronounced as it is being steeped and you get another bouquet of aroma every time you pour or take a sip. Peppermint is one of my favorite herbs ever. It tastes great, it doesn't contain caffeine, and it smells wonderful. And because this one isn't bagged you get the actual crushed leaves not the sorry powder available in markets. I would definitely recommend it. This is one of the stronger peppermints I've found, but without be bitter. I've got I.B.S., so this and spearmint are a welcomed drink. You can mix your mints with almost any other flavor. Love it! This is good, strong peppermint tea. Wonderful after a meal. In fact, wonderful after any surgery. After surgery it was the only thing that got rid of that shoulder pain (anyone who's had it knows what I'm talking about). Nothing else but this tea worked. I buy large quantities and keep it in an airtight crock on my kitchen counter at all times. I drink this almost every day. It's very affordable too.